Surviving in the uncivilized mining camps was a day-to-day struggle for most of the women living in those makeshift communities of the late 1890s and early 1900s. 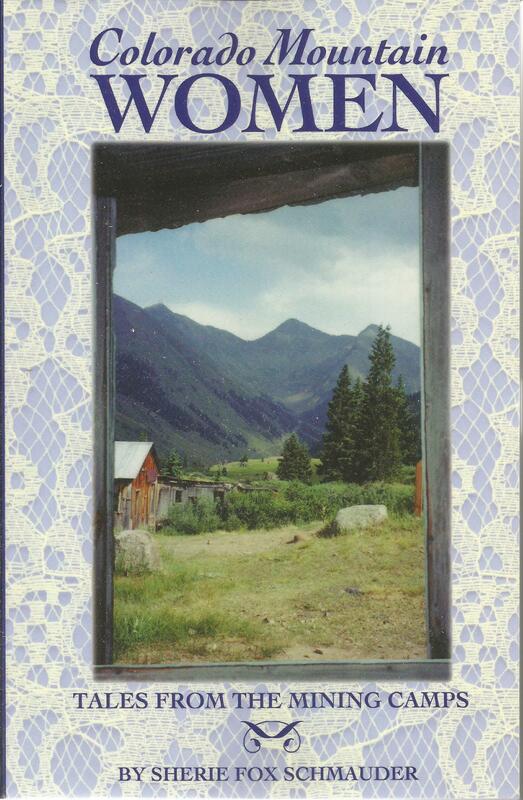 The stories included in Colorado Mountain Women: Tales From the Mining Camps by Sherie Schmauder convey many of their experiences. One of the stories relates a woman’s trek from China with her husband, her work on the railroad disguised as a boy, and her flight to a mining camp deep in the mountains after she had killed the man who murdered her husband. There in a laundry she had discovered how to glean gold from miners’ dirty pant pockets. All of the stories are fictional, but are based on the actual experiences of women who lived during that time period in the “Old West.” They battled extreme weather conditions, isolation that could drive a person mad, disease that often took their children from them, poverty and starvation, and primitive living conditions. Yet the West could not have progressed and prospered without the strength, courage, and determination of such women. Sherie Fox Schmauder received a New Jersey Council for the Arts grant for prose in 1994. Her work has appeared in various magazines, with a focus on the effect of landscape on women, particularly those who persevere in difficult situations. Colorado Mountain Women will instill a deeper respect for the women who helped settle the West, but whose stories have not been heard.